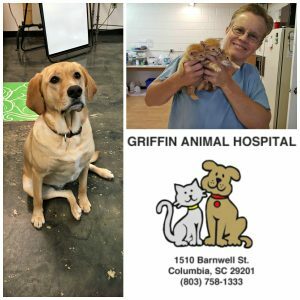 Mr. Groom was delighted to make a donation of shampoos to the kind folks at Griffin Animal Hospital in Columbia, SC. They are one of the best veterinary clinics in South Carolina! Visit their website www.griffinanimalhospital.com especially if you live in The Vista or near Five Points.